Wed., June 27, 2018, 2:40 p.m.
POTOMAC, Md. – Tiger Woods is playing the Quicken Loans National for the last time, and so much about this year feels new. 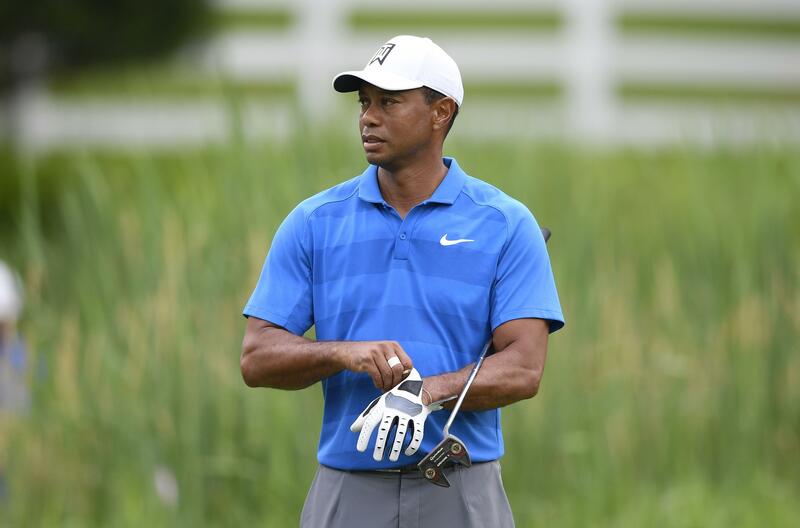 Woods played his first 18-hole round at the TPC Potomac at Avenel Farm during the pro-am Wednesday, and it didn’t take long to realize why the course rated as the fourth toughest to par last year on the PGA Tour, behind only three majors. Woods is the only two-time winner of the National, both times at Congressional a few miles down the road. He hasn’t played the event since 2015 when he was struggling with back issues that eventually led to multiple surgeries and kept him out of golf for the better part of two years. Woods’ career took several unexpected turns a few years later, with surgeries to his knee and back sandwiched around the downfall in his personal life. There was a change in title sponsors, a change in dates and the field gradually became weaker. Rickie Fowler, who has a corporate deal with Quicken Loans, is the only player from the top 10 competing this week. He checks in at No. 8. Quicken Loans decided not to renew its contract with Woods’ foundation, instead sponsoring a new PGA Tour event in Detroit that starts next summer. Woods couldn’t find another sponsor, and now there isn’t room on next year’s schedule. His foundation still runs the Genesis Open at Riviera in February and the unofficial Hero World Challenge in the Bahamas in early December. “The support has been fantastic. We just haven’t got the sponsorship dollars,” Woods said. He would like nothing more than to end the tournament’s 12-year run by winning for the first time in nearly five years, a reasonable task considering how well he has been swinging the club. The trouble has been getting the putter to cooperate. This isn’t the first time Wood has tinkered with a new putter, whether it was St. Andrews in 2010 or the Masters the following year. That he might use a different model putter in the middle of his season shows a little of the frustration. He’s just not willing to add tournaments as he approaches 18 months since fusion surgery on his lower back. Published: June 27, 2018, 2:40 p.m.